Sales end Thursday, August 16 at 5 PM. Tickets available at the door the day of the event at the Casino Theatre. 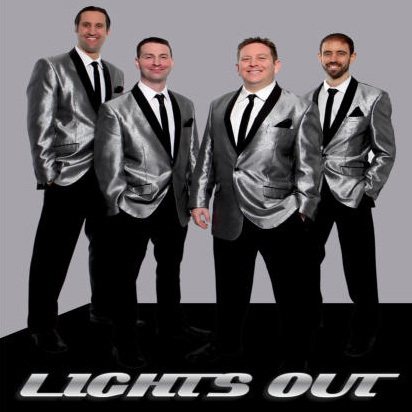 Lights Out, a four-part vocal group, has been entertaining audiences with their tribute to Frankie Valli and the Four Seasons for years. The Lights Out show, which is fully choreographed, includes many of the hits that Frankie Valli himself still sings along with a couple of a capella songs tied together with witty banter, comic relief, and audience participation.